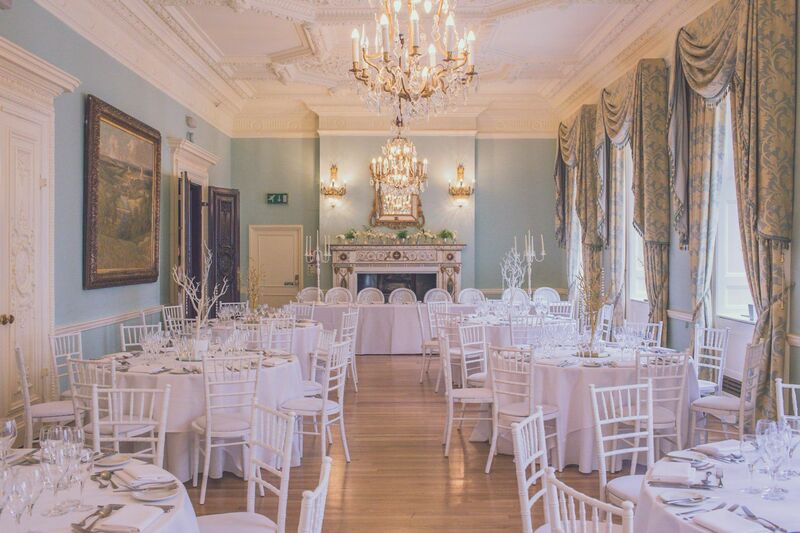 Dartmouth House offers the quintessential London Wedding experience. Located in Mayfair, this exclusive venue offers full use of a Grade II listed Georgian mansion. This stunning oasis in the heart of the city is a truly spectacular wedding venue and the home of many magical memories. In recognition of Dartmouth Houses' truly wonderful wedding offerings, the venue has been shortlisted for Best Wedding Venue at this years' Hire Space Awards. An evening dedicated to recognising the very best in the events industry from incredible venues like Dartmouth House to heroic event planners. Dartmouth House is able to host every part of your wedding story. They're licenced to hold wedding ceremonies and the range of rooms and spaces can accommodate events of all sizes. From intimate dinners to celebrate the occasion with your closest family and friends to grand receptions hostings parties of up to 450 guests. 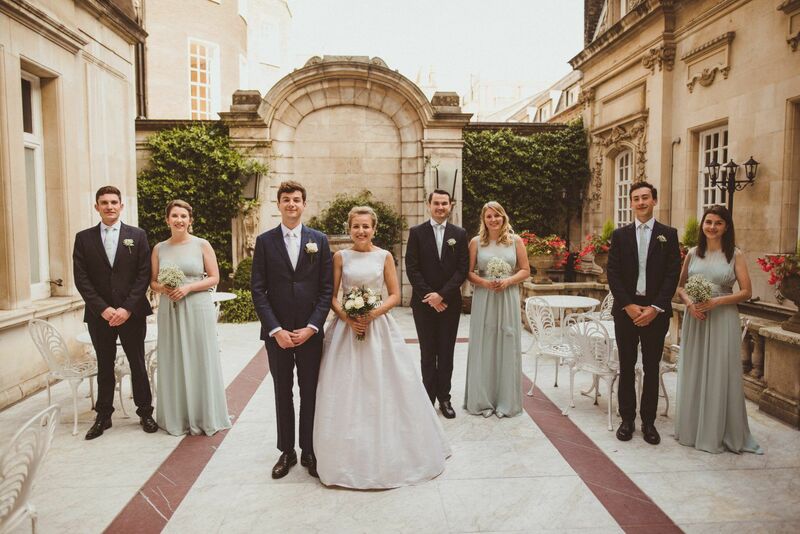 The courtyard at Dartmouth House is one of its most popular spaces, loved by couples as both a space for wedding photos and as a place to host drinks receptions. The idyllic architecture that surrounds the picturesque fountain and wrought iron furniture combine to paint an image of a romantic French chateau. The square is a wonderful alfresco space with the perfect atmosphere for guests to mingle and enjoy the spirit of the day. Dartmouth House offers three elegant rooms to choose from. 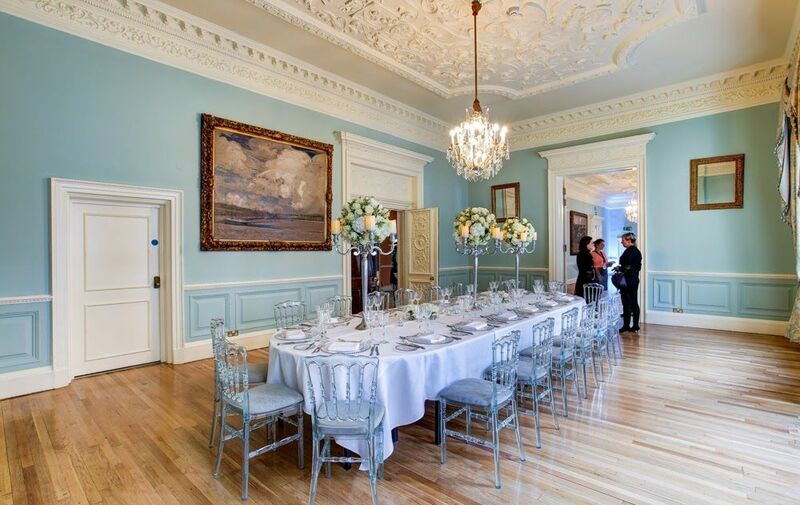 The Long Drawing Room is a beautiful space perfect for dinners hosting up to 100 guests for dinner. The room enjoys grand sash windows that light the ornate wood panels for a truly wonderful atmosphere. The Small Drawing Room enjoys a more intimate atmosphere thanks to the delicate baroque styling and can host up to 50 guests for dinner. The Churchill Room strikes a balance between the two combining the grand atmosphere of the Long Drawing Room thanks to antique Louis XIV walnut panelling with the more intimate size of the Small Drawing Room offering space for 70 dinner guests. Each room can also be used to host the wedding ceremony and for the largest events, multiple rooms can be used in conjunction with each other as they all interconnect to provide space for up to 350 guests. To help you have a stress free day and simply enjoy the delights of your wedding, Dartmouth House offers all-inclusive packages. Their excellent events team can also tailor the package to your preferences and make sure your special day is perfect.